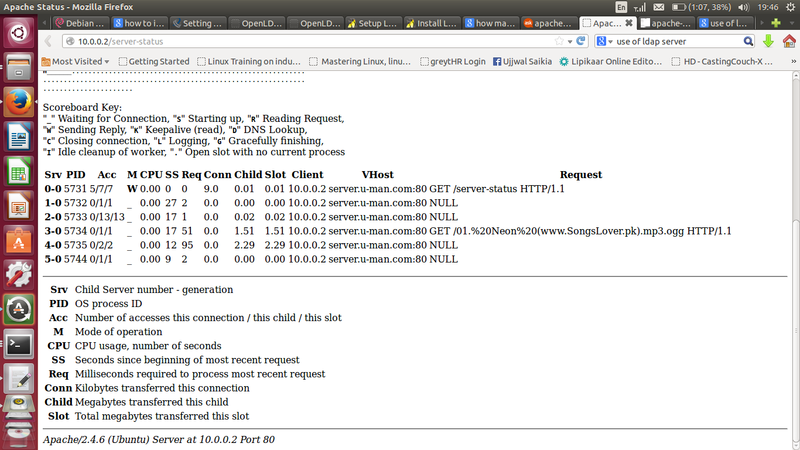 This the script that will enable live monitoring of Apache Server Ex. Who is currently logged on to it. It will be look like the following screen shot . Note: This script will work for Ubuntu (All versions) and Debian(All Version ) only. There is another script for Redhat , Centos and Fedora. echo "This the script for apache server monitoring. (Press F5 to refress)"
dpkg -l apache2 && echo "Congrats ,Apache is installed" || echo "Apache is not installed type (apt-get install apache2) to linstall apache"
echo "All Done. Now i will enable the system. (Press F5 to refress) "